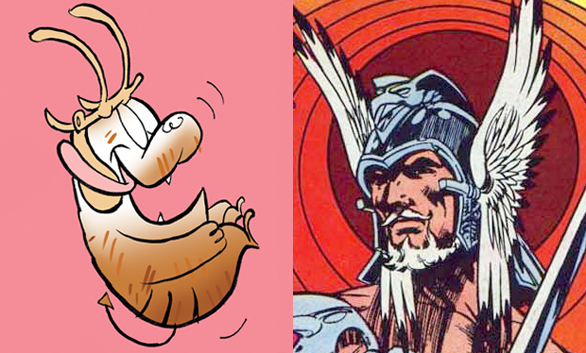 Here’s a Little Known Fact: Gorr’s bone helmet in his original visit to the Center of the Earth (you can begin reading that storyline here) was inspired by Mike Grell’s Warlord, one of my fave characters. I tried to match the Warlord’s eagle wing sides with bones. The Warlord really electrified my teen imagination with a mix of high adventure and fantasy. Also Mike Grell’s art was a true inspiration!